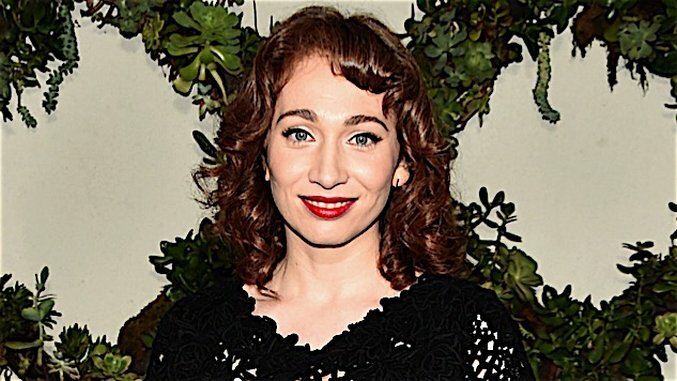 Regina Spektor Talks Two Strings, Three Pillars and Why All You Need Is Love. Paste recently sat down with Regina Spektor to chat about her interpretation of George Harrison’s “While My Guitar Gently Weeps” for the soundtrack of Laika’s feature Kubo and the Two Strings, and what the Beatles mean to her music. Paste: You’ve recorded covers before, like “My Man,” which was made famous by Fanny Brice, and you’ve previously covered John Lennon, so I have to ask: is it intimidating to cover other artists? Especially artists that are heroes of yours? Spektor: The word intimidating is not necessarily the word that I would choose, but I find covers really hard. I find that it’s much easier to write my own song than to figure out my way into somebody else’s song. But the exciting thing is when you do end up finding your way into a song that you already love, you get this new understanding of it. So that’s always special, and I felt that way about covering “Real Love” by John Lennon, or other covers, [like when I] I covered “No Surprises” for Doctors Without Borders. I love that song, and it’s almost like you pull the song closer and get to know it in this whole other way. After I talked to Travis [Knight, the director], and he explained to me where the song is coming from, how it’s a mother’s song to her child, and how it starts out as almost a lullaby and then gets stronger and stronger, and then gets picked up by the children at the end, then I was like, “wow, this is such a beautiful way to look at it and to imagine it,” and because it was completely different instruments than how I’d ever heard it, and in the vocabulary of the film, it wasn’t intimidating at all. It probably should have been, but it was just exciting. Paste: Twice you’ve re-recorded your own songs, and there’s a quote I loved where you said you wanted to “obliterate and replace” the original version of “Samson” because it bugged you so much. Paste: When you talk about covers, is that something you ever think about? How do you make a song your own, or do you even want to make it your own? Do you ever want to replace the original version? Spektor: Never, never. No, that kind of perfectionist masochism is reserved only for myself. I’ve never thought of it like that with other people. The only thing that comes to mind is: is there a reason to cover it? Because I’ve heard covers of songs that I love where the person covering it strips away all the things that are awesome about the original. They take the melody that is your favorite, and they just throw it into the trash. I think that the thing with covering a song, to me, is you’re walking the fine line of there has to be a reason why you’re doing it. There has to be something of you that’s in it, but it’s not just “me, me, me,” and not just about the song, and not about the original person who created it or whose version you really love, but somewhere in there, in that murky little in-between world, that’s my aim every time. Even when you mentioned the Boardwalk Empire song, “My Man”—I didn’t get to know it as that version, as Fanny Brice. I got to know it as the Billie Holiday version. But when I was doing it, I was like “no, this takes place in that time period, and with all original instruments that are idiomatic to that time period,” and the attempt was to try and be in the world of Fanny. Spektor: That was how I grew up! [Queen] and Moody Blues and the Beatles were what I had! Paste: Now we can go on YouTube and listen to any song at any time from any time period. It makes me think about the unique, personal relationship that we have to music, especially when it’s not accessible to everyone. How does it feel to reinterpret a Beatles song, when they’ve been so important to you in your development as a person and musician? Spektor: Let me put it to you this way—one of the greatest moments of my family life was when we got to go to a Paul McCartney concert at Madison Square Garden. The producer that I was working with at the time, David Kahne, he’d worked with Paul and he got us these incredible seats, and we literally held hands for the entire duration of 28 songs. We took turns crying, and it was the most beautiful experience ever because that music—to my parents it was their youth, and it’s interesting because it was subversive and not even allowed but somehow it was their youth anyway and it was the youth of a lot of their friends. To me it was my childhood, and also, in a world where classical music reigned supreme, with a mom who was a classical music professor and a dad who studied classical music and played it, it was my other monumental music. And there was a third pillar that no Americans know, the bards, you know the bard singers, Vysotsky and all those people? Those are the three pillars of my life, and so a chance to participate in that world in any way is super, super exciting, but especially in a way where it’s so creative and so generous. When I talk to Travis, he didn’t grow up in Russia, and he’s got this whole other connection, but it’s the same song, that’s the amazing thing about it. You can come at it from any trajectory, but it can have this grand meaning and it’s so beautiful to me to be able to like tap into that moment. Paste: There are a lot of references to things that have influenced you in your music. I was listening to “O Marcello” in the car, and it’s nice and familiar that the chorus is an Animals song, because we pick up, and are influenced by, and incorporate art that we’re exposed to into our lives. I like thinking, “Oh, I get it! I’m on the same wavelength! There’s an artist out there that understands me and likes the same things that I like.” For me, that’s one of the coolest things about your music. How much influence do you allow your heroes to have on you? I hear Debussy in this song, and the “Raindrop” prelude in that one, how much do you allow to seep into your own work before you decide it’s too much? Spektor: I love that Pushkin can quote Shakespeare, and I’m really naturally a collaging and sampling kind of person, just in my brain, but I’ve actually been deterred from doing that. My art would actually have a lot more references, but there’s so much red tape even for the ability to do an artistic gestural nod to something that you are deterred from it. I feel like my earlier work, just from not knowing better, had a lot more of that. So right now I think I just collage more from from experiences than actual works of art or books I love or songs I love. Paste: You mentioned your collaboration with Kohan and recently with Travis Knight on Kubo. Do you like collaborating with visual artists, with filmmakers? Is that something that you see yourself doing more in the future? is there something you’d like to try that you haven’t done, like scoring a film? Spektor: I’ve really enjoyed being invited into some of these special projects like this, or with Jenji, or when I wrote the last song for Narnia: Prince Caspian. That was really special, and of course I’m a Beatles freak, so I recorded it at Abbey Road. In Studio 2! But I think that, for the most part, I have so many songs of my own, and I get so excited about writing new songs. I feel like I can do smaller collaborations and maybe someday there’ll come a film where I really feel ownership and I can really say something and feel that connection, but to just do a [film] project is very hard for me because I have my allegiance to songs for right now. I am exploring those other arts, with making videos or things like that,so it’s almost like I get to safely explore a visual art, or filmmaking, or even a little bit of acting, but my worry is that I always want it to have meaning, and to really be there for a reason. If I ever figure out a cool story I’m going to write a book, but I don’t want to just write a book because I’m me. People have been like, “here, write a book!” and it makes no sense to me to just be given these things. If i ever feel like I connect with a director, of course I would love to do a score, but I’m going to have to really be into it. Paste: Before they kick me out, what’s your favorite Beatles song? Spektor: Probably the one I go back to the most, because it just makes me feel like there’s sanity in the world: “All You Need is Love.” Right now with all that’s happening, that’s the one I’d just go and jump on the bed to. Kubo and the Two Strings hits theaters on August 18th. Regina Spektor’s latest album, Remember Us to Life, will be released September 30th.